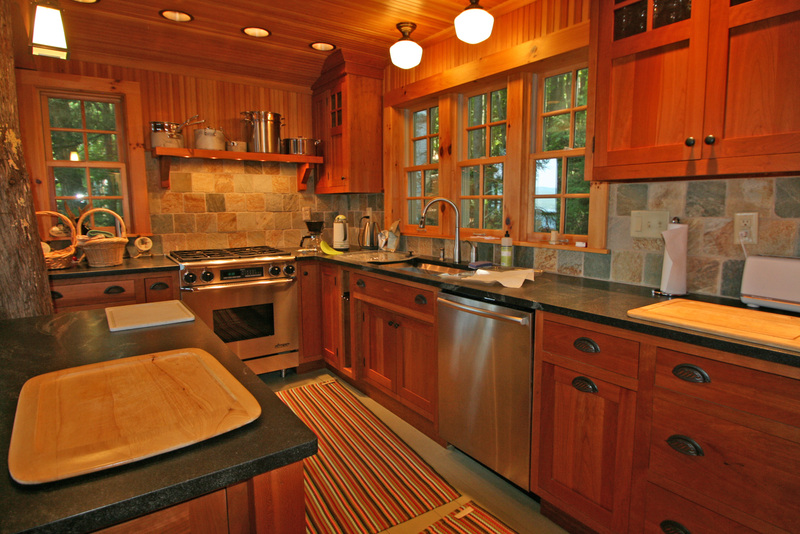 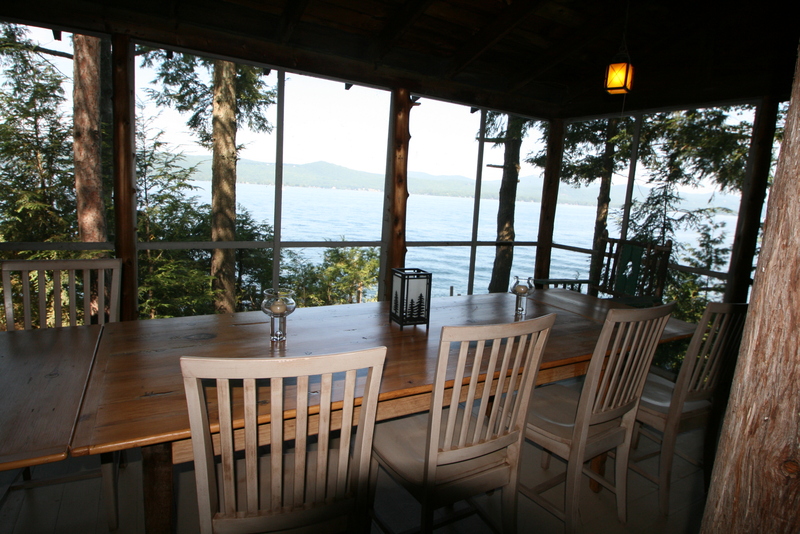 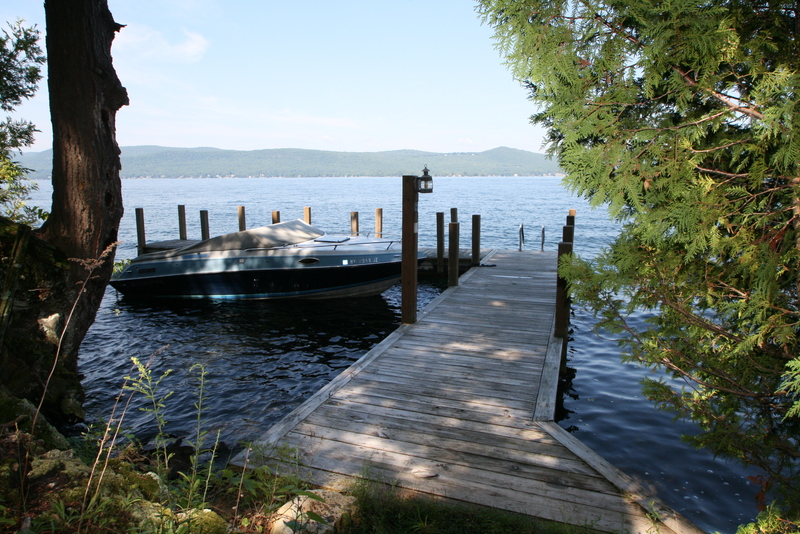 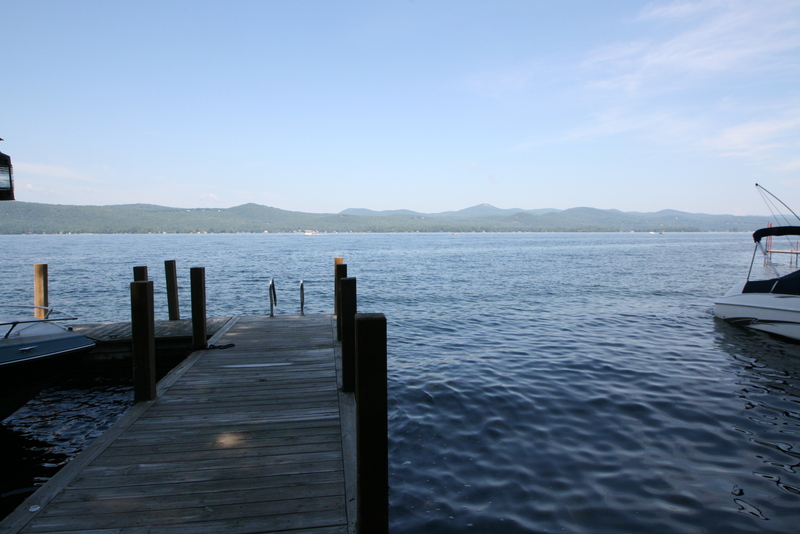 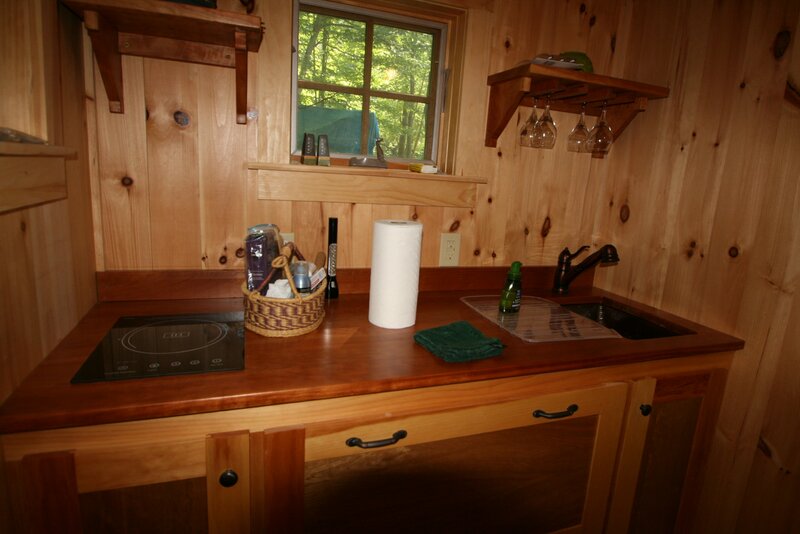 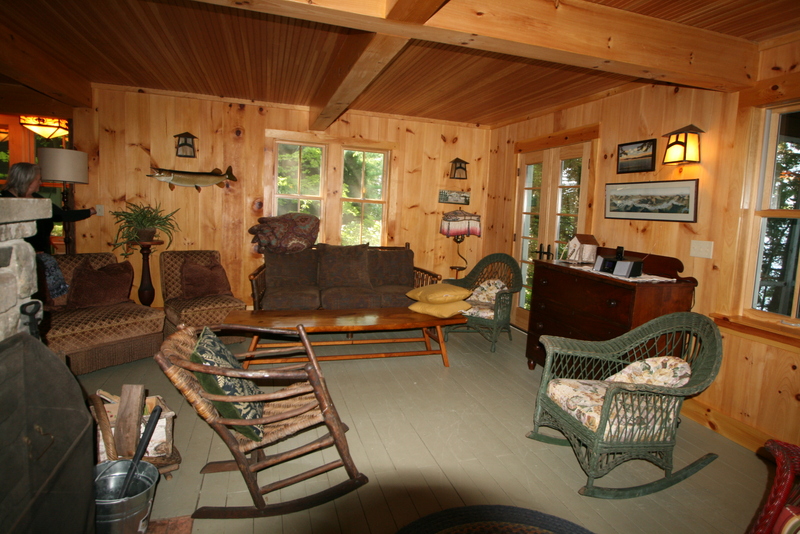 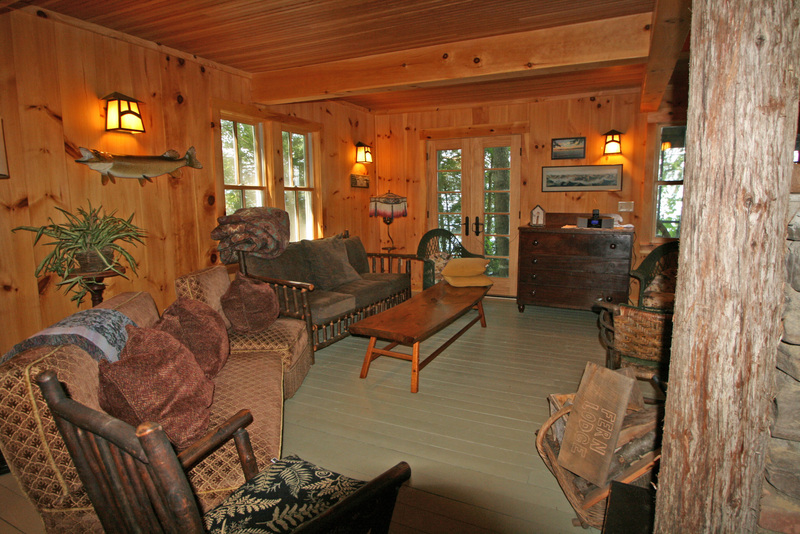 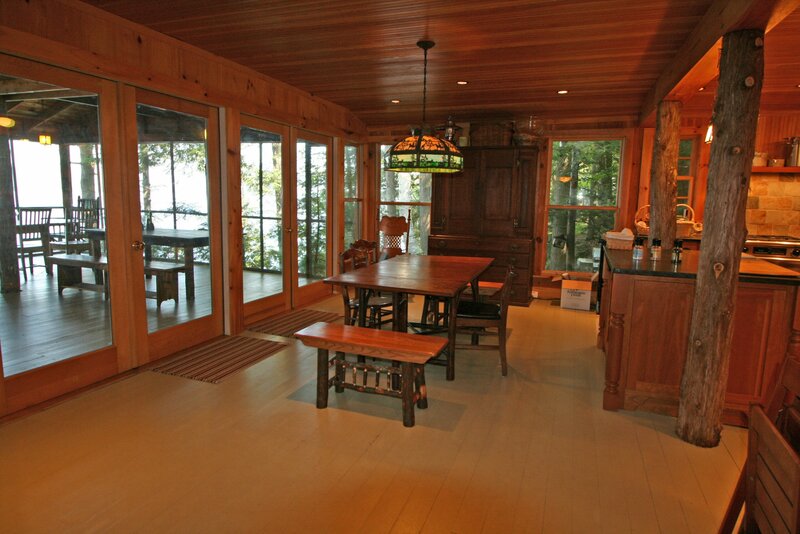 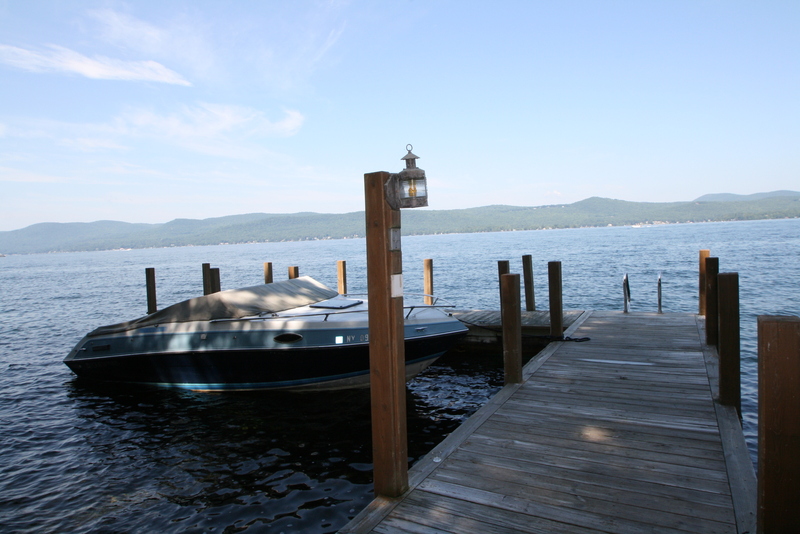 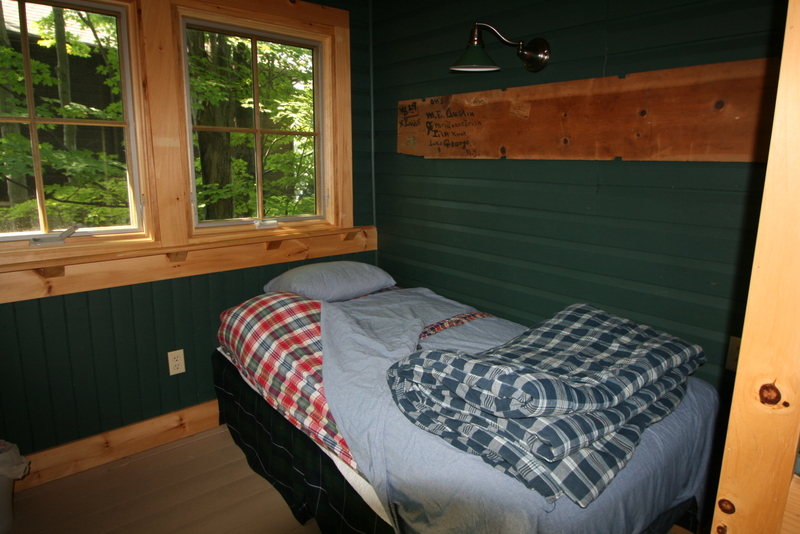 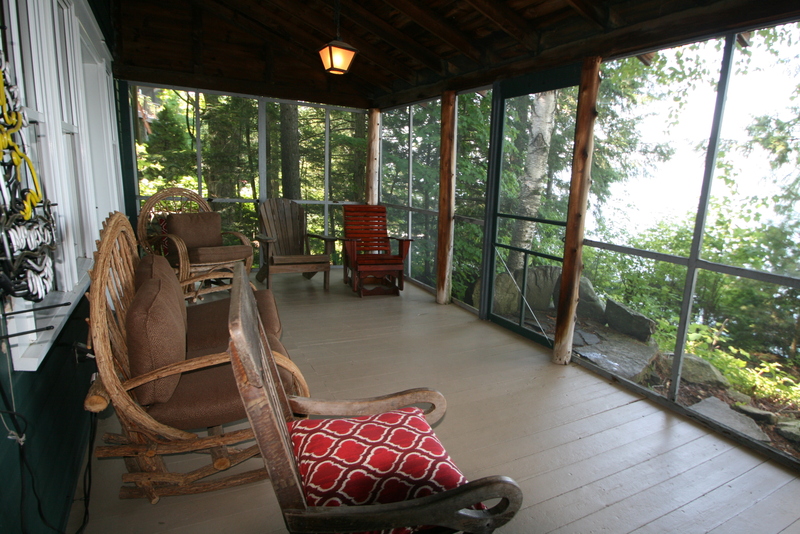 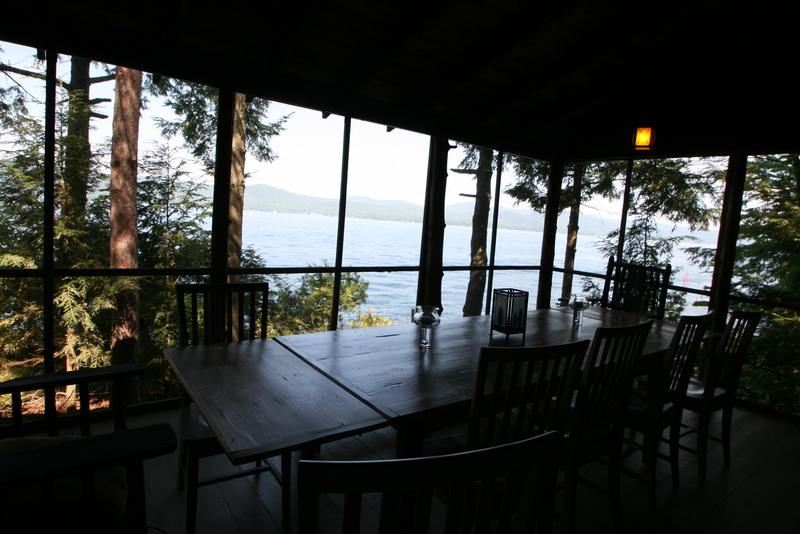 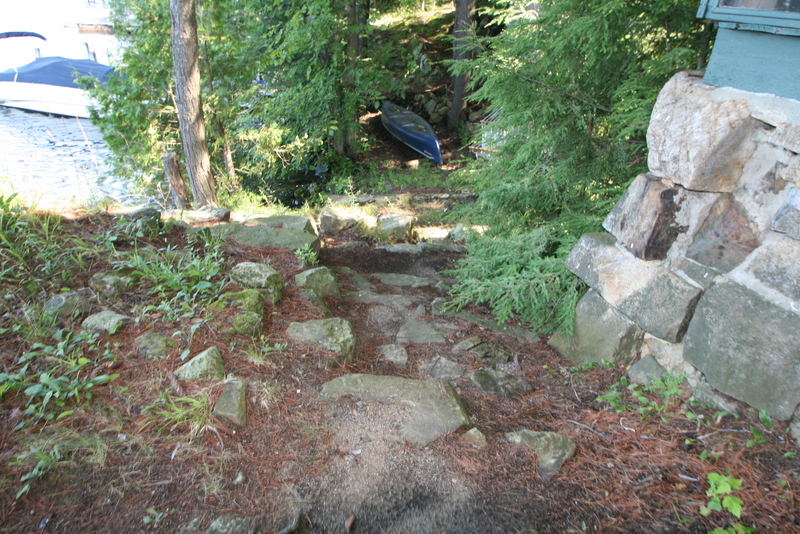 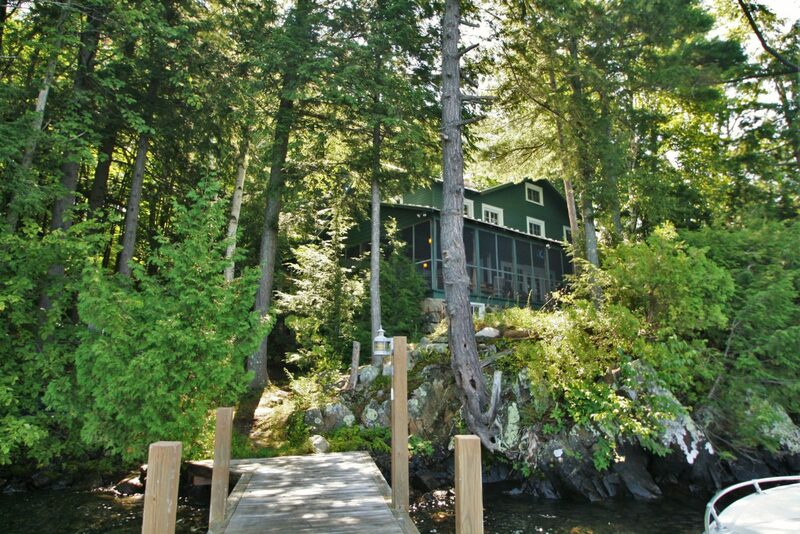 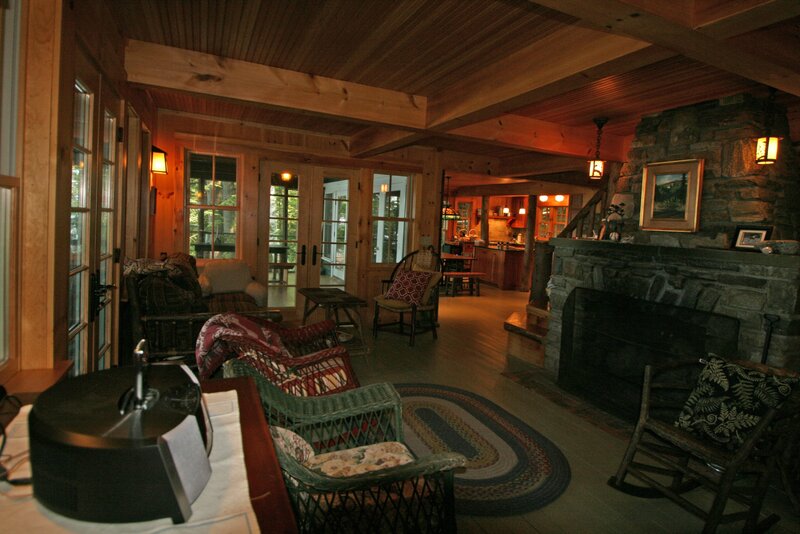 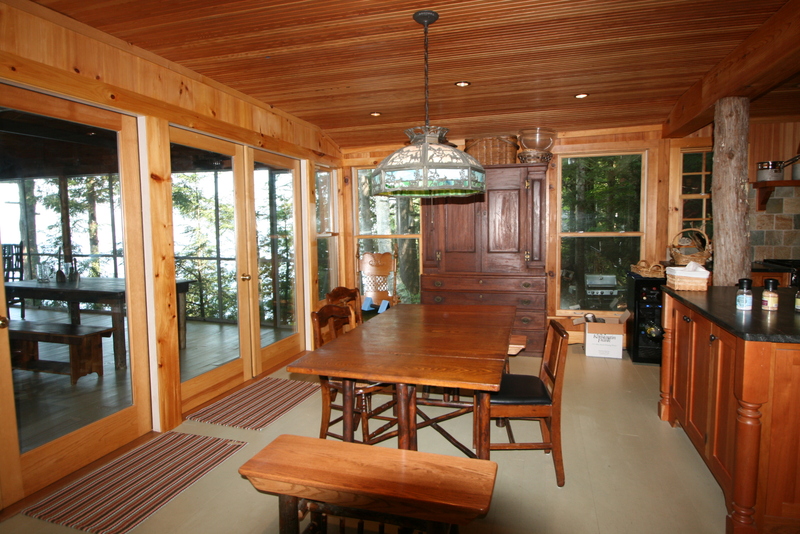 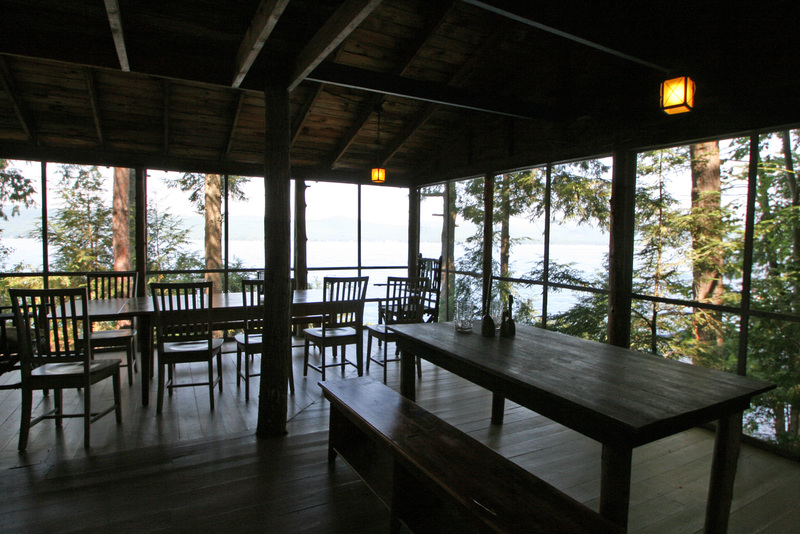 A beautifully renovated Lake George Adirondack Camp with large porch across the lakeside, nice dining area with lake view and a great kitchen also with lake view. 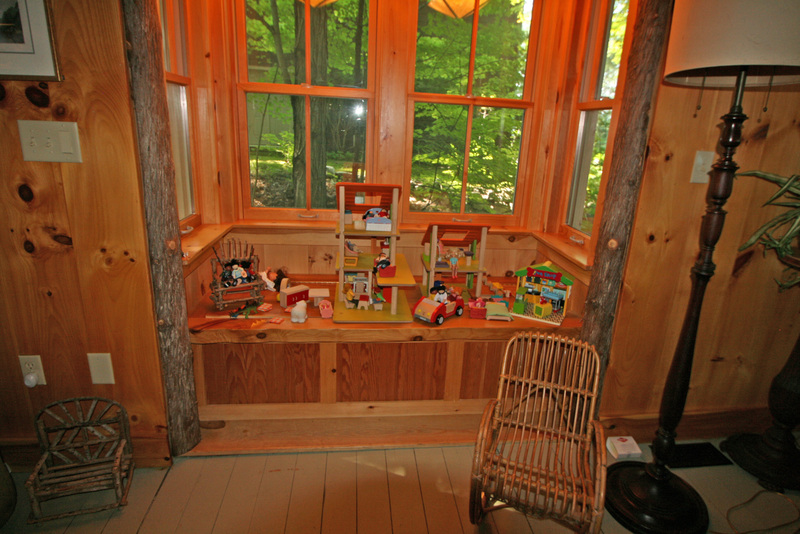 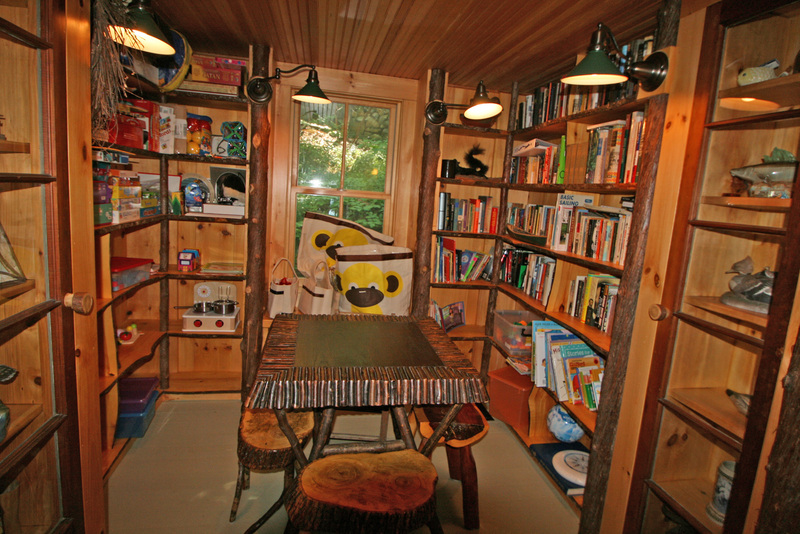 Living room off the dining area, small play area with childrens' toys and a library for both children and adults. 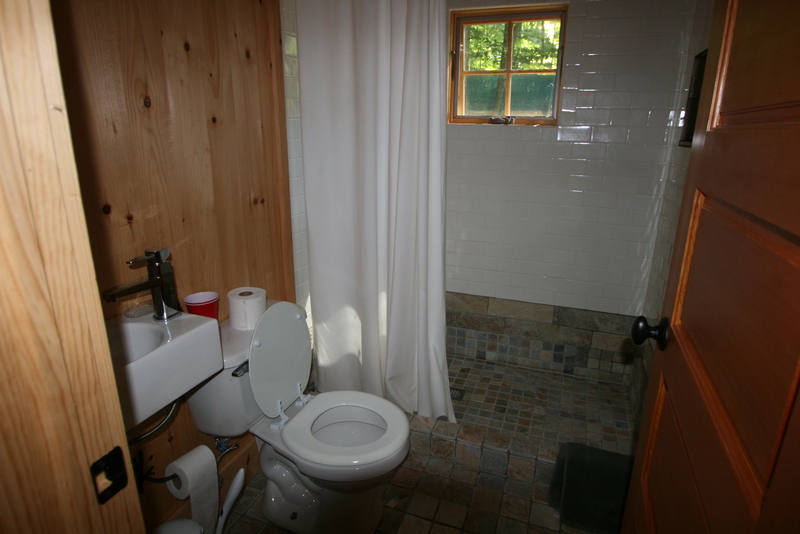 There's a laundry room and 3/4 bath on first floor. 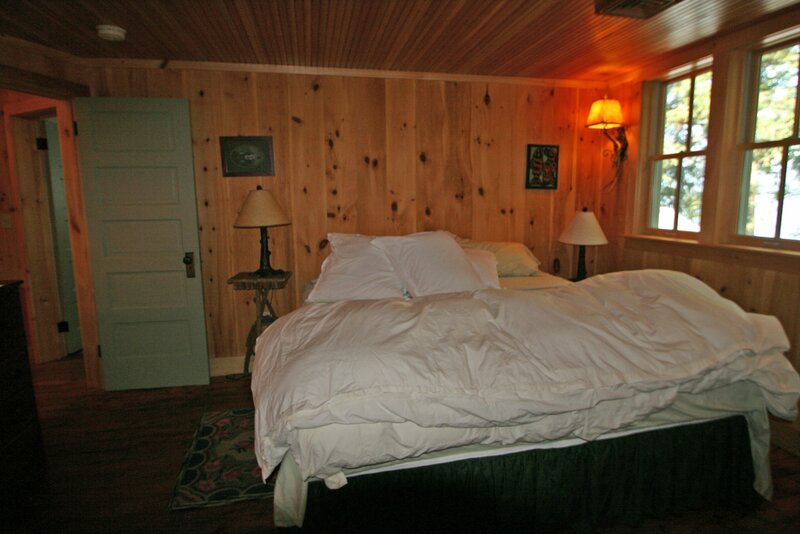 Upstairs are four bedrooms, the master with a kingsized bed and also a small porch, two of the guest bedrooms have a full sized bed and the third has two full sized beds. 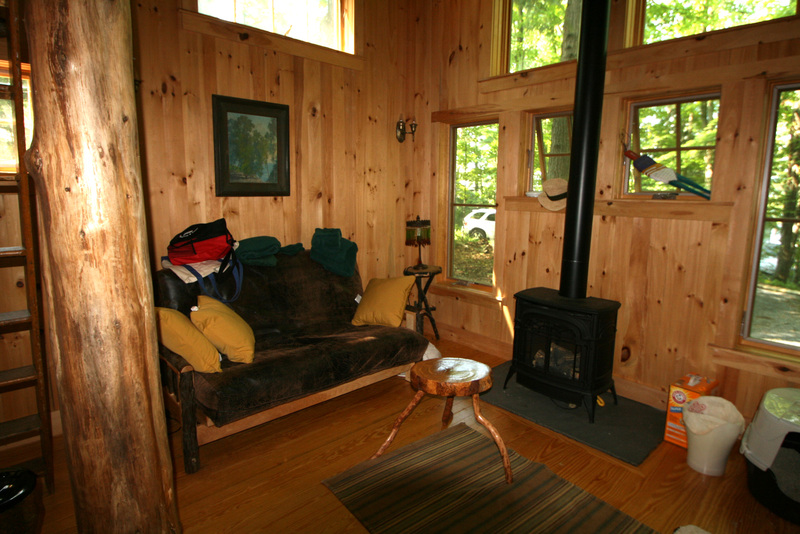 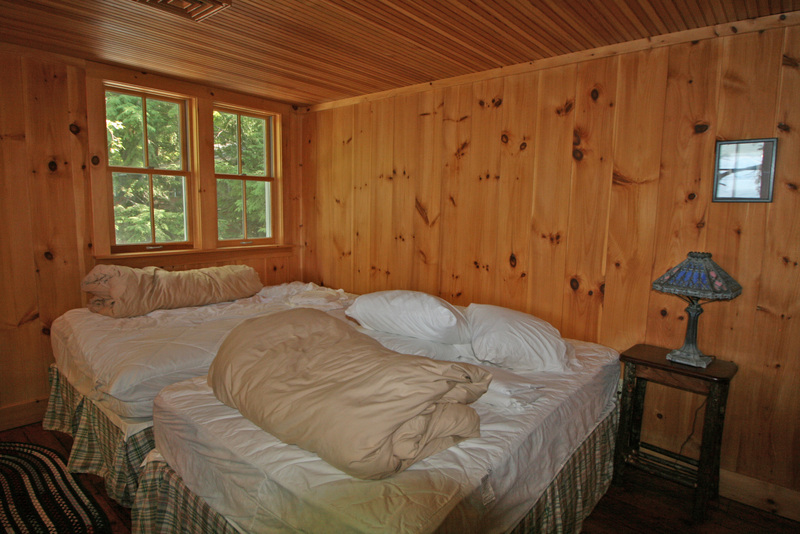 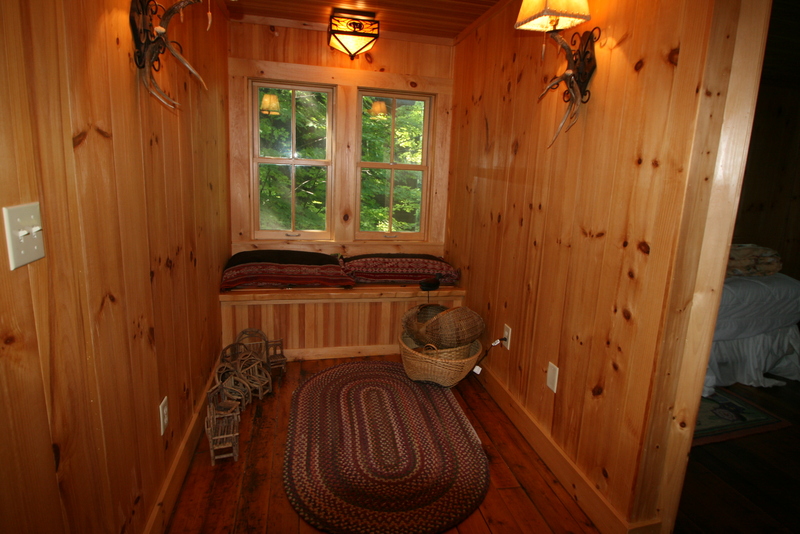 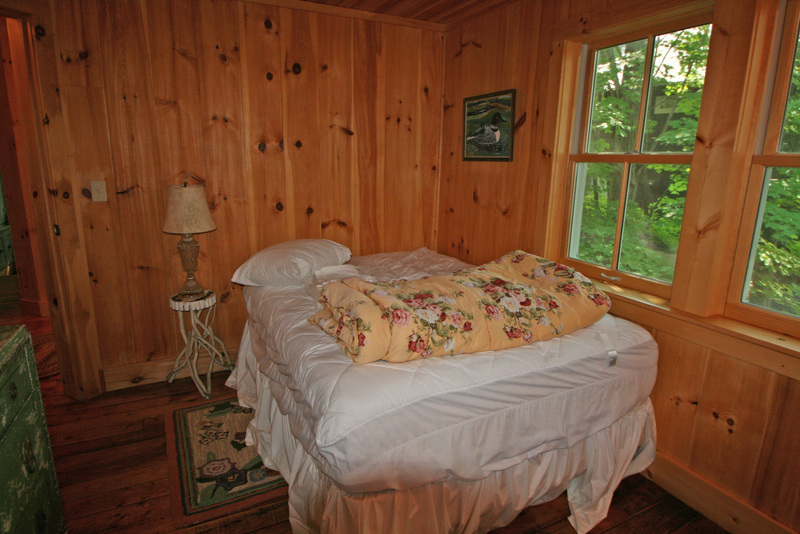 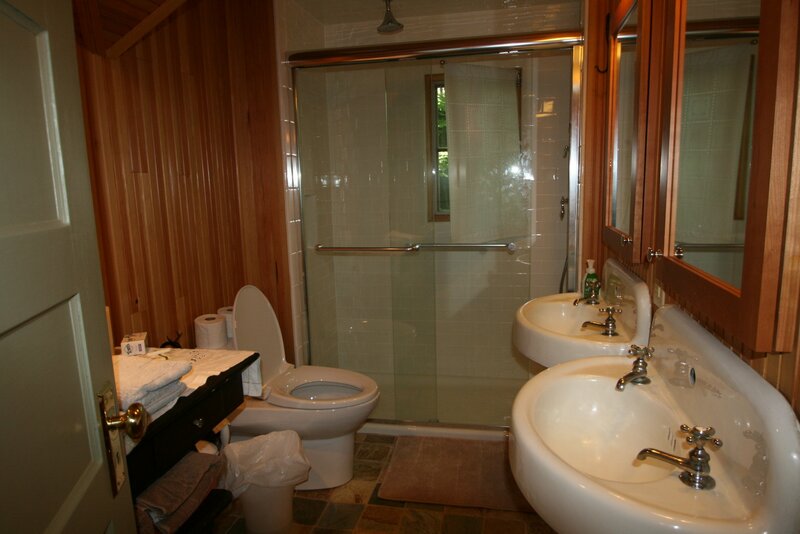 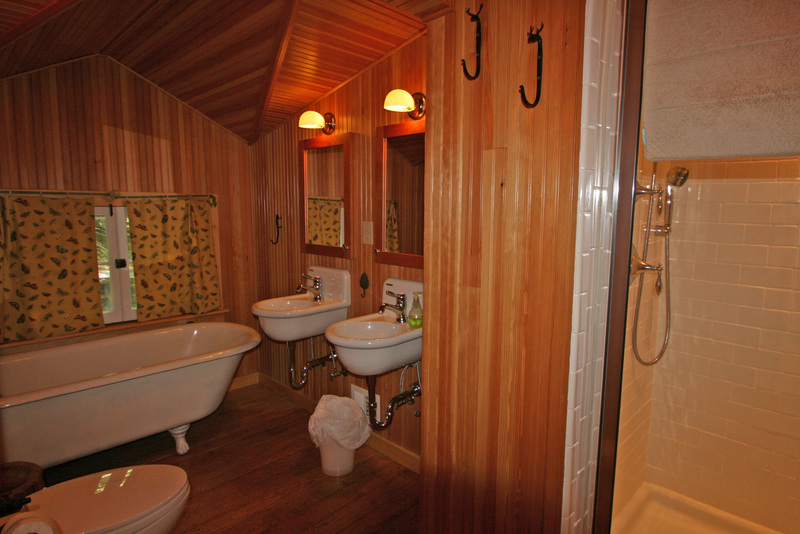 There's a guest bath on this floor as well as a sleeping porch with a twin bed. 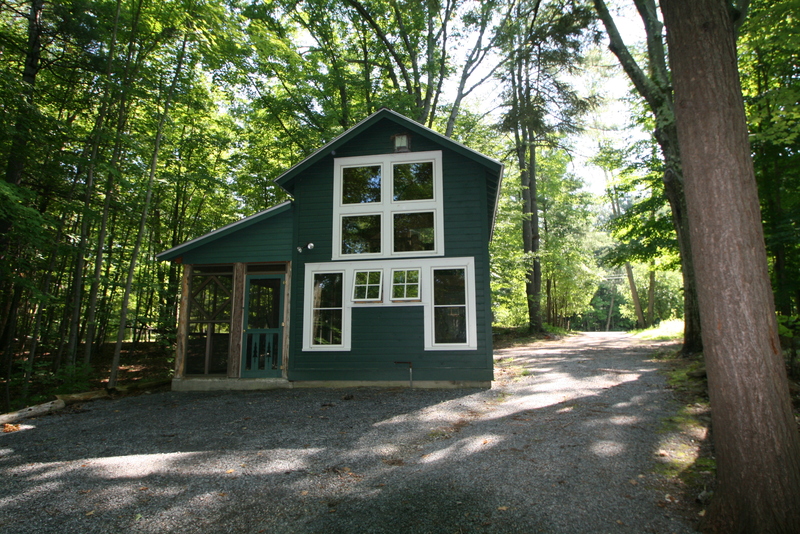 Behind the house is a guest cottage for adults-this being as the sleeping quarters-2 twin mattresses are up in the loft and is not suitable for children, there's a limited kitchen but with a clever drawer refrigerator and a small sink, there's a 3/4 bath, fans and screen porch with lake view, no ac. 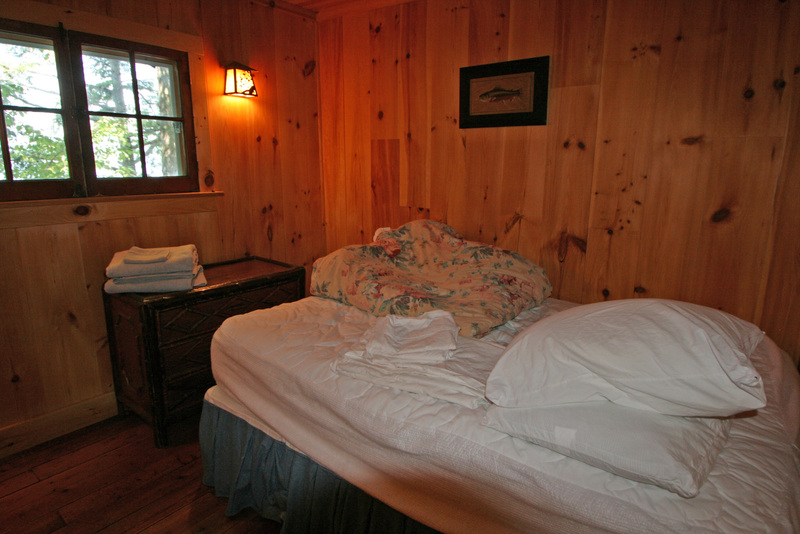 Sheets, towels and kitchen linens are not provided.